Traditionally, when we engage with prospective shippers or existing customers of ours to discuss freight optimization and rate reduction, the conversation naturally skews itself towards outbound. Its natural to understand why, companies traditionally own more of the outbound freight process than the inbound component. Why is that? We often hear about the hesitancy to get involved because developing routing guides is too complex, or more commonly: because their freight is free. Whether that means hitting certain order minimums or negotiating it into their purchasing agreements, they don’t pay for the freight….so why the heck worry about it? We’ve got some bad news that some of you likely already know… there is no such thing as free freight, lets discuss. 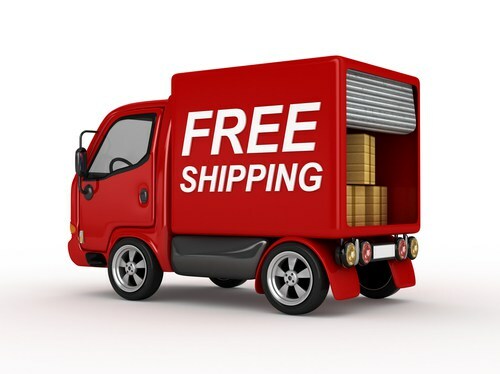 Oftentimes when attempting to get free freight, shippers will hit order sizes that qualify for free freight. Oftentimes when doing this, shippers will purchase a large, bulk order of goods that represents more (sometimes significantly) product than they actually need. Carrying inventory is not free, in fact sometimes the carrying cost of the inventory itself can cost up to 25% of the total inventory you have on hand. Several of the factors that lead to these carrying costs are overlooked, such as the cost of purchasing the items, housing, handling and the depreciation if the items don’t leave your shelves in a timely manner. “Free Freight” that leads to higher inventory carrying costs isn’t really free at all. The last time you flew, which airline did you choose? Perhaps you chose Southwest, because of the free checked bags. It feels good right? Boom, check that bag because you earned it. Did you happen to explore the cost of flying with a similar airline and simply paying for the one checked bag? What was the cost-difference? I’m guessing it was marginal. These are all aspects of the psychology of purchasing- you know as well as I do there is no such thing as a free lunch. Just like when you buy those new golf clubs off a large online retailer and get “free shipping,” that shipping isn’t free- it’s just inflated into the cost of the goods you’re purchasing. Sourcing negotiations work similarly, while your team may feel good you checked that box with the supplier, odds are you’re paying for it somewhere in the COGS. Take ownership of your inbound freight? Even those of you submitting purchase orders with FOB terms are likely getting your freight marked up by the supplier, anywhere between 20-80%. Marking up outbound freight has become an industry best practice, and you’ve got to remember, your inbound freight is someone else’s outbound. Work with your suppliers/vendors to put together terms with freight being scheduled and paid for by you, 100% of the time. Deploy an effective strategy, using a solid carrier mix and making it easy for your vendors to understand what carrier to ship with. If you’re interested in learning about how Motus Logistics can take ownership of vendor/inbound freight management, give us a call or send us an email.